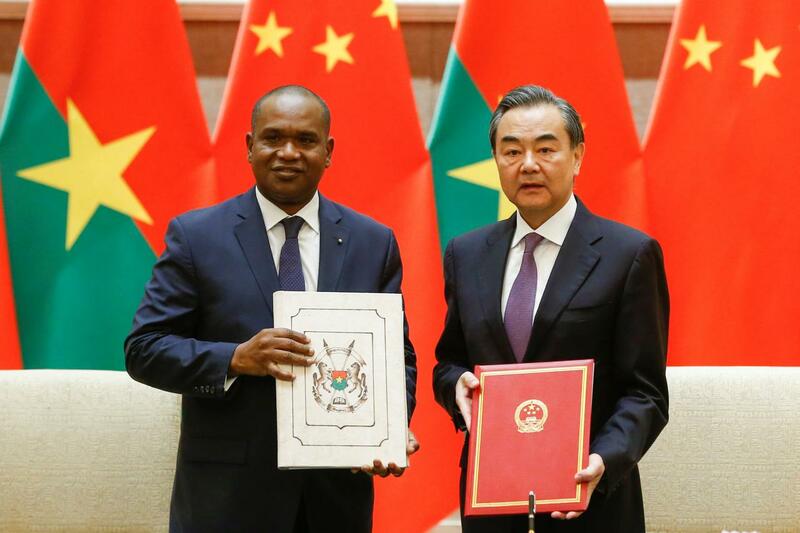 The move comes on the heels of Burkina Faso’s split from ties with Taiwan, also known as Republic of China. Burkina Faso officially broke from the island nation due to wanting to “defend [its interests] and its people in the concert of nations,” although the move is likely motivated by monetary incentives. China has been noted under Xi Jinping for entering into diplomatic agreements with “global South” nations, especially in Africa. These deals are typically advantageous for both sides, exchanging advantageous trade deals for injections of development into poor states. Notably, China does not intervene in the politics of the states it incorporates into its expanding hegemonic interests. These deals are typically made to satiate China’s increasing need for cheap energy. But these agreements cut both ways. Increased money flow leads to increased consumerism, and China is happy to meet increased demand. According to 2015 statistics, China exports more to Africa than it imports, just over $100 billion USD. This makes up somewhere between 14 and 21 percent of Africa’s imports. Expansion into Africa and the Indian Ocean is also a part of China’s One Belt, One Road initiative, a $3 trillion USD per year expansion of Chinese trading interests. The Road part of the initiative, the maritime shipping lanes, cross through Africa via the Red Sea, although they could conceivably also go to the Western part of Africa in future expansions. This is China’s attempt to reinvigorate a slowing economy and much Chinese diplomacy has been focused on securing the success of the project. Taiwan and Burkina Faso have engaged in relations before, from 1961-1973, and the pair have been allies since 1992. Between 1973 and 1992, Burkina Faso was an ally of China. This is the second time this month that a Taiwanese ally has opted for the more generous Chinese trading package. Earlier in May, the Dominican Republic changed allegiance, reducing the number of Taiwanese allies to now eighteen. Reports state that the nation received $3.1 billion USD in loans and investments from China. To make matters worse, Swaziland is the only remaining African ally, and there are indications of other major trading partners such as the Vatican leaving for Chinese money. The blow to Taiwan resulted in the resignation of Taiwanese Minister of Foreign Affairs Joseph Wu, who has lost ties with two states in less than three months in his position. Taiwan thanked its remaining allies, claiming to not “engage in the dollar diplomacy game” with China. This increases the pressure on Taipei, who has seen Chinese war drills near its coasts, dwindling support from US President Donald Trump, and now the loss of key allies.